Living... in the suburban Tri-County Area with his wife, Lois, and three of his four sons: Dewey, Malcolm, and Reese. Their house is too small to fully accommodate the five and the boys are typically climbing the walls. Hal might too if Lois would let him. Profession... working in varied unspecified, mundane, white-collar cubicle jobs over the years. It's never clear exactly what he does, but it doesn’t pay very well. Hal hates his work and is often worried about the financial state of his family. But with the additional support of his wife's income as a cashier at a drugstore, they make enough for them and their kids to get by. Barely. Interests... roller skating, competitive walking, hi-fidelity stereo equipment, and many other odd activities. Hal often gets very excited by unusual hobbies and obsesses over them until they go awry, forcing him to move on to the next one. With a boring job, a forceful wife and rambunctious kids, Hal is always looking for an escape. Relationship Status... married to Lois, who definitely wears the pants in the family – and maybe the shirt and shoes too. Sometimes Hal seems downright afraid of Lois, worrying that she will yell at him for his mistakes or questionable behavior. But he is also extremely loyal to her, frequently backing her up in arguments with the boys and crediting his happiness to solely her. And even after all these years, they can barely keep their hands off each other. Challenge... parenting. Hal is a pretty lax dad, partially in an attempt to counteract his wife's firmness, and partially because he is incredibly indecisive and afraid of making mistakes. He is better able to empathize with his rowdy children than Lois, likely participating in antics similar to theirs' as a boy, and usually tries to go easier on them. However, he still often proves to be lousy at raising his children, even stealing from them and lying to them on occasion. Though as he puts it, “It's not lying if what you say would be true if the facts were different." Personality... pleasant and well-meaning, though inept and ineffectual. Hal tries to be a good father and husband but often does not succeed. Fortunately, he has developed some effective coping mechanisms. As he tells the boys, "The only way I've managed to get through my crappy life with any shred of self-worth is by living in denial!" Hal Wilkerson's popularity ranking on CharacTour is #1730 out of 5,000+ characters. See our top-ranked characters and read their profiles. Malcolm in the Middle is an American television sitcom created by Linwood Boomer for the Fox Broadcasting Company. The series was first broadcast on January 9, 2000; it ended its six year run on May 14, 2006 after seven seasons and 151 episodes. The series received critical acclaim and won a Peabody Award, seven Emmy Awards, one Grammy Award, and was nominated for seven Golden Globes. The series follows a family of six, and stars Frankie Muniz in the lead role of Malcolm, a more-or-less normal boy who tests at genius level. He enjoys being smart, but he despises having to take classes for gifted children, who are mocked by the other students who call them "Krelboynes", a reference to the nerdy Seymour Krelboyne from The Little Shop of Horrors. Jane Kaczmarek is Malcolm's overbearing, authoritarian mother, Lois, and Bryan Cranston plays his disengaged but loving father Hal. Christopher Masterson plays eldest brother Francis, a former rebel who, in earlier episodes, was in military school, but eventually marries and settles into a steady job. Justin Berfield is Malcolm's dimwitted older brother Reese, a schoolyard bully who tortures Malcolm at home even while he defends him at school. Younger brother Dewey, genius musician, is portrayed by Erik Per Sullivan. 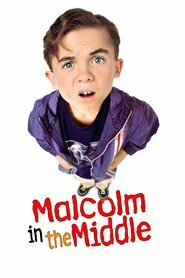 For the first several seasons, the show's focus was on Malcolm. As the series progressed, however, it began to explore all six members of the family rather equally. A fifth son—Jamie—was introduced as a baby towards the middle of the series.